Wouldn’t it be great if you could just skip to the top of the heap when taking your products to a retailer? 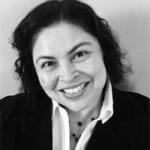 Mercedes Jaime is a supplier diversity expert who is a seasoned veteran of the food and retail industry. She explains that supplier diversity is the ability to help a company’s supply chain mirror their customer base. Mercedes says it’s important because consumers like to see the big corporations giving back to their core customers which are the ones that help them grow up. Her passion is helping suppliers strategize who else can be their customers if their products hit a plateau, as well as educating people about what supplier diversity is because small businesses are the backbone of our nation. We have a great show for you, something a little bit different. Mercedes Jaime is here and she’s going to talk to you about supplier diversity. You might not have spent much time thinking about that or wondering about that or even know what it is. She is going to get into that and she’s going to tell you exactly what it is and how you might qualify to get yourself to the top of the heap when taking your products to a retailer. Wouldn’t that be great? Wouldn’t it be cool if you could skip to the top? If you are a minority-owned business or a protected class owned business, she is going to tell you how you might be able to do that. I don’t want to hold anything up. I don’t want to wait one more second. Mercedes is waiting, let’s get into it. Mercedes, welcome to On The Shelf. It’s my pleasure. I was glad that Joe from ECRM was able to connect us. How do you know Joe, by the way? I know Joe through some conversations regarding RangeMe and supplier diversity and also helping suppliers to get their products on the shelf. You are a supplier diversity expert, born in the field and worked your way up. If you would tell the Big Boxers a little bit about yourself and how you got to own your own business. We’ll jump into supplier diversity and what that’s all about and how it might help them get on the shelf. Hello, Big Boxers. Great to meet you. I’m a seasoned veteran of the food and retail industry, 33 years. I’ve worked for major corporations. I started as a cashier while I was going through high school. I’ve remodeled stores. I run stores, grand opened stores. I’ve done a little bit of everything but the last ten years, I fell in love with what’s called supplier diversity. Supplier diversity is the ability to help a company’s supply chain mirror their customer base. Why is that important? For me personally, I’m a Latina woman. I love to shop those stores that have suppliers that are owned and operated by Latina women, by minorities, by veterans, LGBTs, and small companies. I like to see the big corporations giving back to their core customers which are the ones that help them grow up. As I look at the big corporations, any of them, they all started small. Amazon started small. Walmart, Target, all of them started small. Supplier diversity is a mechanism or a venue to empower emerging women, veteran, minorities and LGBT companies that are 51% owned and operated by them. It’s giving back the power to the community. I wouldn’t necessarily say that I am the expert in supplier diversity. I would much rather call myself the student of supplier diversity because that always changes. My passion is helping suppliers, helping them strategize. If your product is on the shelf and it has hit a plateau, is there an opportunity for this product to go to hospitality? Bring that jar of pasta into Cisco so that it can be sold to the suppliers or if you have office furniture, other than retailers, what else? Who else can be your customer? Maybe the hospitality, big conferences. Hotels have conferences, they use chairs, they use supplies. How else so that a supplier doesn’t have one vehicle or one industry tied to? They need to diversify. That’s my passion. My other passion is educating people about what is supplier diversity. Many times I say, “I do supplier diversity,” and they look at me like I’m ET. Sometimes it’s the education. Folks understand what diversity and inclusion is, and that is the workforce of a company being diverse, whether it’s diversity of thought, diversity in backgrounds, diversity of race. When it comes to supplier diversity, some folks can’t wrap their brain around what is supplier diversity? What that is is a woman, a veteran, a minority or an LGBT person starting a company, growing it, building a community and giving jobs because small businesses are the backbone of our nation. My slogan is ideas connecting opportunities. That’s what business is. I have an idea, it needs to be connected to an opportunity. I left corporate America at the beginning of this year to follow my passion, supplier diversity, so instead of working with one corporation and helping one supplier get through one corporation, I want to use my network and my knowledge. I want to be able to help companies strategize, look at how they register their companies in a portal or what some suppliers call it the black holes, and have a better use. It’s no different than when you were applying for a job and you give your resume. Registration to a portal, and there are many types of portals that corporations have, that is the resume to the company. You have to make sure that it tells you or it tells the stakeholder of the supplier diversity, the people that are going to have access to that information, exactly who you are, what do you do, what’s your core competency, and how can you help that company by either a product or a service that you provide. There are many things that you talked about. I don’t even know where to start. You’re on your own now. You have your own company. If there was somebody out there that fell into the minority or a woman-owned business or LGBT area, and they had their own business and they wanted to get into Target, for instance and they didn’t know how to go about it or how to use what they have or the assets that they have in a way that would be beneficial to them and to the retailer, you can help with that? In my prior role, I used to meet every month with the sourcing team. I used to ask them, “What are those items that are coming up for renewal? What are those contracts?” Sometimes they would say, “We are looking for this service or a company,” and all of a sudden I would say, “I have a supplier like that. Let me write it down, let me reach out to the supplier.” Sometimes they would even come back to me and say, “Do you remember that supplier that did X, Y and Z? Do you still have their contact information?” It’s beneficial for them to build the rapport with that supplier diversity professional and convey what is the business that you’re in, or what’s the solution? How you can help that company grow, change, or something as simple as they don’t know what they don’t know. If I’m a Latina woman and I am looking for a product for my hair to make it nice and curly or for food, one of the things I’m always looking for are plantains and people look at me like, “What? Plantains? What is that?” It’s a part of educating the internal stakeholders also. Suppliers can do that. Through my tenure, I remember when we did not have any diversity or emerging companies that were the preferred customer. We built that process up to the point where seven years later, the incumbent was a woman or a minority supplier that someone else was trying to take its contract and we had great suppliers and they always were able to win the requests for information. If you have a great product, a great solution and it’s a great item, you have the supplier diversity advocates within a corporation that can help you. Many times, you have to follow a process. You have to understand, you have to play the rules of the game. I would always tell suppliers, “Make sure you register. Make sure you have X, Y and Z.” I would spend my time coaching them and helping them. In this new role, what I want to do is add to that the coaching piece, connect them to the decision makers, to the people that can help them connect into an idea, into an opportunity for them. I educate smaller businesses, midsize businesses, on why it’s important to have a supplier diversity program. If they need to build one, I’ve built three. The last project I worked with a small company that was interested in this biodiversity program. Why is that important? Why is supplier diversity important? Why is it as important as diversity and inclusion? I’m a Latina woman. When I purchase an airplane ticket, when I look for a product or a service, I’m also looking at are they giving back to my community? Are they engaging with women, minority-owned companies? I want my community to grow as well. Are they having the diverse thought? Are they including their supply chains? What is their supply chain look like? 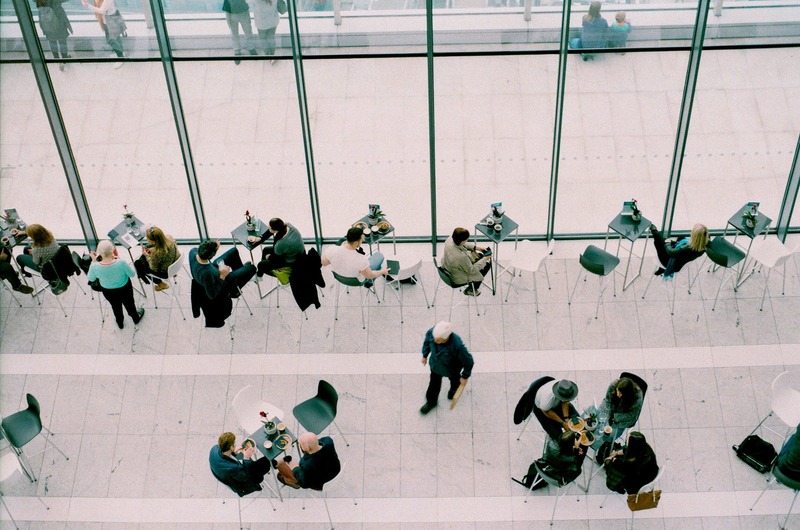 Supplier Diversity: People like to do business with the people that they know. It’s hard for folks to change. I even have an example. I had a certified minority-owned client who was bringing in unbelievable jalapenos from Mexico. We had such a good time working together. He was a certified minority-owned business, he was able to secure an appointment with Costco pretty easily. When we went there, everything went great and long story short, his products got in for a test. I specifically told the buyer, when you test with Costco, you only can test in generally ten locations for basically ten days. Sure enough, they didn’t listen to me. Out of the ten locations, two of them were heavy Hispanic populations and they did not do well at all. It skewed our overall results and they missed hitting the threshold by a narrow margin, but they didn’t end up getting picked up. We’re convinced that if they would have listened to us and not put those two locations into the mix, we would hit the threshold and he would have been a Costco supplier, ongoing. It’s super important to understand where your locations are, who’s buying from you, what those people buy and what they don’t buy. So often, and I’m sure this is where you come in handy, a buyer might think, “Jalapenos, we have a couple heavy Hispanic population locations. They love Jalapenos and they couldn’t be more wrong.” Does that make sense? It does. Your analogy reminds me of salsa. I had private brands walking through a show and they said, “Look at this great salsa we have for Latinos,” I looked at him and I said, “Latinos don’t buy their salsa out of a can or a jar. We make it fresh. That’s how we like it.” Maybe a Latino that doesn’t have time to cook, or maybe a second or third generation, the acculturation is also important. I gave you the example of the plantains. We eat plantains breakfast, lunch and dinner. I can have them for everything and people will look at me and say, “Plantains for breakfast, lunch and dinner?” I go, “Yes. Typical Salvadorian breakfast is plantains, beans, and a scrambled egg. You’re set.” Whereas, an American it’s pancakes, scrambled eggs, and bacon. A lot of these suppliers, they know they’re developing a product or a service out of the need, what is needed. It’s no different than any other. Suppliers that are under the supplier diversity umbrella create products and services that service the mainstream. The other misconception that other folks that I’ve worked with before, when they hear supplier diversity, they think ethnic. They think a woman or a minority is going to develop a product that is specifically for the ethnic market. That is not the case. Suppliers that are under the supplier diversity umbrella create products and services that service the mainstream. From cleaning supplies to pacifiers to ice cream to vodka. Here in Minnesota, we have the first woman-owned vodka distillery and as a certified woman-owned company. Amazing woman, she has an IT company, this distillery company and a spice company. Let’s talk about that for a second. We’ve talked about already the benefits to opening your doors to diverse suppliers on the retail side. You’ve already explained the benefits to understanding your consumer and then helping find suppliers that can mirror that consumer base so that the consumers feel good about purchasing those products. An understanding of the different products that you’re offering and that they match up. How does the supplier know if they qualify as a minority supplier? A certified minority supplier or what category do they fit in and how would they go about figuring that all out in navigating those entire waters so that they can use that as a stepping stone to helping a retailer in their diversity program. A supplier comes to a retailer and they’re a certified minority owned business, they’re helping that retailer expand their diversity program. How do they go about figuring that all out? It’s simple. They can call me and I could walk them because I’ve been around the organizations that certify the companies. The criteria are the company shares have to be 51% owned. Let’s say we have a husband and a wife that started a business. The wife needs to have 51% shares of that company and the 49% are the husband’s. The wife needs to prove that she is the expert, that she is the one that makes all the decisions and that she has control financially and operationally of that company. If it’s a husband and wife relationship, the woman needs to own 51% of the shares. If it’s a minority company, the minimum requirement is for them to own 51% of the shares. It has to be 51% US-owned and operated. If it’s a veteran person with a non-veteran person, then it has 51%. The key is, does that CEO have 51% control of the company? Can they also navigate and operate that company if the other 49% leaves? There are companies that are 100% owned and operated by a woman, then there are those companies that are 51% owned and operated by a woman, and they can show that they are the experts in that category. They have the expertise. These organizations that vet the companies and certify them, do a very extensive research. They look at the taxes, they look at the company by laws, they have to make sure that if it’s a husband and wife that the wife is the CEO and she’s the one that can call the meetings and she’s the one that has absolute power over the company. That’s one thing. If you suspect that you could be 51% owned and operated, that’s all you need, 51% to get your company certified as a woman, as a veteran, as a minority, as an LGBT. What you’re saying though is some guy that owns a business who’s trying to buck the system can’t give his wife 51% shares so that he can try to take advantage of being a woman-owned business. They’re going to come in and they’ll see the falsity in that pretty quickly. They will look at what the woman does for a living. What does the resume look like? They will have a face-to-face interview. They have volunteers that go and do that. Yes, it has to be something that the woman is the one in control. Other than 51%, what are some other key factors or areas that people possibly get tripped up when they’re trying to go through the certification process that they should look out for? Believe it or not, the way the bylaws are written. Many times, they go to this website and they download a generic a bylaw and here we go. They need to consult with an attorney that has knowledge of the requirements for supplier diversity. There are those attorneys that do work with suppliers on that. It could be something where the woman’s title is President and CEO, but in the bylaws it may say the Board of Directors can fire her. They’ll look at all those things so that could be a technicality too. They need to make sure that they have good bylaws that reflect that the woman or the minority is in control of the company. Supplier Diversity: If it’s a minority company, the minimum requirement is for them to own 51% of the shares. It has to be 51% US-owned and operated. How long does it normally take from the beginning of the application process to getting certified? What’s the timeline there? Just on average? I would say a month. That’s much quicker than I thought. Certification companies, is this a federal certification or is it done by State? There are states that will certify companies but most supplier diversity corporations, they will recognize the NMSDC certification because they know the vetting process, the WBDC or the WBENC certification, the Veterans certification and the NGLCC certification. These are watchdogs in the industry. They are the ones that certify and do this vetting to make sure that the companies are who they are. There are state and local governments that also will certify a company as a woman or minority-owned. If you were to give one recommendation, for instance, say, “If you’re going to go get this done, this is who you should have do it.” Who would that be? I would say with the national, they are the experts in this, NMSDC, WBENC, NGLCC and the veterans, the top majors. There’s also USPAACC who certifies Asian-owned companies. There’s not one go-to that you would say, “If you get these guys to certify you, whether you’re a woman, a minority, veteran or LGBT, you’re good to go with using this company.” There’s not one that you would recommend? You have to fit the criteria. There are certain cases where a company may fit four or five of those criteria. It could be a woman that’s a veteran that’s a minority that’s LGBT and that’s Asian. They could possibly have all of those certifications. For example, if a company is owned by a man, they only have the veteran option or the LGBT option. Each organization has their own criteria. It depends on what type of certification you’re getting is what you’re saying? Exactly. There are some corporations, some retailers that will accept a self-certification, what the industry calls it classified. I can say I’m a woman-owned, but I don’t have a piece of paper that proves that I am who I say I am. The corporation might ask them to get certified so that they can count their spend. There is that other route. You can tell them I’m self-certifying and some companies do that. The best bet is to go through the certification process. If the woman criteria fits or the veteran, the minority, then go through that process, have all your documents ready to upload. In some organizations, like the Women’s Business, you can automate all of that online. It’s an easy process. Others, you have to mail in your paperwork. The first time is the hardest because you have to give all of this information. The one thing to note is that the certification is only good for a year. It’s every year they have to renew that certification. I would say the largest, the most tedious process is the first time because you get to give your financials, your bylaws, all of that. You have to prove who you are. Your company can help. Let’s keep it specific to suppliers. What are your main services that you offer at your company for suppliers that might be looking to explore this option for their company? How can you help them? If it’s a company that falls under the classified, I can help them navigate through the process. Where would be the best option for them? If someone that fits all the criteria as women, veteran, minority, LGBT, look at what are the goals and which certification will fit best for that company because that’s also important. What kind of training? What kind of networking events? What are those things that are important? That’s number one. Number two is give them the option of how does your company look on paper? What are you putting in those black holes? Why is it a black hole? Is it because garbage in, garbage out? When you’re job hunting, you make your resume specific and tailored to that job. It should be the same thing when you’re looking to engage with a company because the way you’re going to register your company with a financial institution is going to be different than the automotive industry or the retail industry. The second half hour I would tell them about the company that I was working with and tell them about their culture and the things that they need. If you were a packaging company, I would say to them, “You’re not going to get any business here because we don’t buy this, but I can certainly introduce you to my counterparts in the CPG industry. They will use that product. If I have someone that’s saying, “I’m a packaging company and I want to sell to this retailer,” and the retailer doesn’t do their own packaging, not even in private brands, then you’re wasting your time. Those are some of the things that I can help suppliers with. Another thing would be if you have a product on the shelf, let’s say pasta, and you’ve hit a plateau in sales and you’re going to sell what you’re going to sell. Are there other venues? Can you sell that jar of pasta to a big box retailer? Can you sell it to Cisco? Cisco can sell it to the restaurant industry. If you manufacture, let’s say chairs, and you’re going to sell them in a retailer and you’ve hit a plateau there, there’s no more sales. How else can you be creative? How can you also diversify your supply chain or your customer base? The supplier needs to do that and go from selling to retails to also selling to the hotel industry, the hospitality industry, they buy chairs. Do the thing that you enjoy doing 24/7. What other ideas? If you have a product that is a great cleaning product and you’re selling it to the consumer, how can you sell it to an industry? Owning a business is a hard business. You have to remember some of these businesses or some of these ideas started in a kitchen table or in a garage. This great idea, this love, this passion that the entrepreneur has for something evolved into a product or a service that is employing people, that is feeding families, that is giving back to the community. 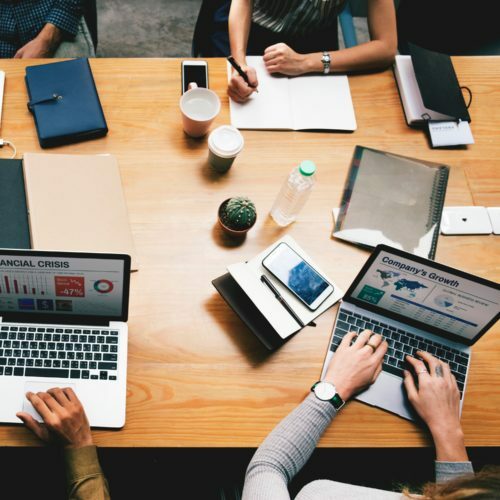 A business owner is focused on doing that that sometimes they forget to take care of themselves and diversify that business so that it can continue to grow and prosper. Big Boxers, we definitely know that we can use all the help that we can get. Mercedes, a super big thank you for all the information that you put out there today. It’s important information and it’s hard to get into a retailer anyway, and if there’s any potential way to make that easier or smoother within the guidelines, it’s important that people know that. If we have any in our audience out there that are thinking about that or you’ve have piqued their interest, hopefully they’ll get in touch with you and talk through that. Do you have any parting thoughts? Any one little encouragement, what would that be? First of all, I want to thank you and the Big Boxers for welcoming me into your community. A great gratitude for that and I would say follow your passion. Do the thing that you enjoy doing 24/7. You all know that I agree with that 150%. If you’re going to spend your time doing one thing, it better be something that you enjoy and that you have a passion for it. Thanks much for being on the show and we look forward to keeping in touch and potentially we can send some customers your way. Thank you so much. Blessings to you and all. Thank you. What an education. She took us all to school there on supplier diversity. I hope that you all gained a little bit of insight. 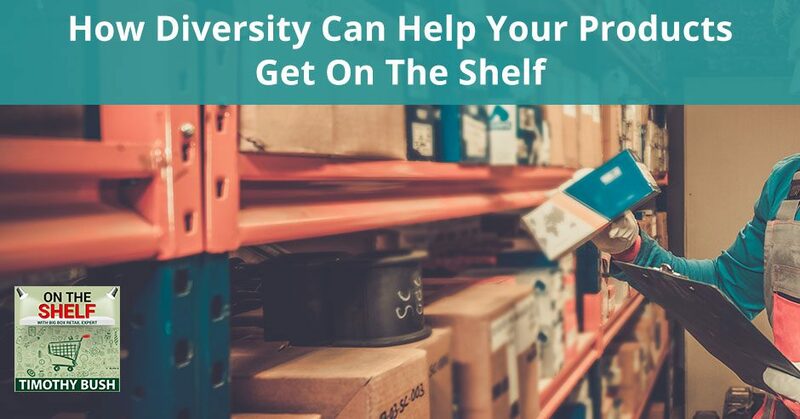 If you fit into one of those areas that she’s been talking about, how you might be able to capitalize on that and help retailers at the same time with their supplier diversity program. How cool would it be if because let’s say you’re a 51% woman-owned business or more, you go to a retailer and by certifying yourself and letting them know that, not only does it get you to the front of the line but it helps them with their supplier diversity program. It’s a win-win. I hope that you’ve got something out of the information Mercedes was putting out there. She had quite a bit to say and all of it was key information that you guys can all take in. If you’re liking the podcast and you want to support it, you can do that a couple of different ways. You can go and you can subscribe to the podcast that way, your phone or your computer will notify you when we have a new episode up and you won’t have to wonder. You can go there and subscribe. Another way that you can help out and you can support the podcast is by giving us a review, telling other listeners, other Big Boxers, why you liked the podcast and what it has done for you. You can either go or leave a review on iTunes or Stitcher. Don’t be shy, get in there and leave a comment. It’s important to let other people know how you’re benefiting from the podcast so that they might have a listen as well. If you want to reach out to us, if you have a question, keep those questions coming. You can reach out to us on Twitter, @TLBConsult. You can reach out to us on Facebook, @TLBConsulting. You can join our Facebook closed group called On The Shelf Now. You’ll be able to have direct access to myself and other likeminded people that are doing what you’re doing, don’t forget to do that. We want you to be there. If you want to get ahold of us, you want to reach out to us via email. You can always go to our website, TLBConsulting.com and get it done there. I look forward to speaking with you again. Until next time, we look forward to seeing your products On The Shelf. Mercedes Jaime-Le Vvintre is Corporate Manager Supplier Diversity at SuperValu. Mercedes Jaime-Le Vvintre has been Director at The National Hispanic Corporate Council since January 2009. © 2019 On The Shelf Now All Rights Reserved | LSX is a WordPress theme developed by LightSpeed.